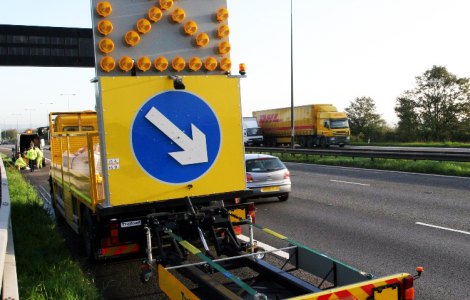 Where short duration mobile works are required on the Motorway Network we provide Mobile Lane Closures where 3 advance warning vehicles are positioned over a 1km section of the hard shoulder to alert drivers of the presence of an IPV(s) closing a lane for motorway maintenance works. Chapter 8 of the Traffic Signs Manual provides guidance on the permitted traffic volumes thereby ensuring that free-flowing traffic conditions are being maintained throughout the works. The main advantage for using this technique is the very quick set up time to get on and off the Motorway. 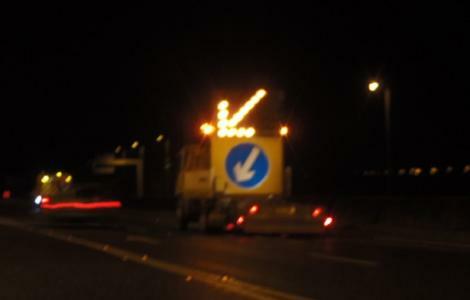 We have the capability to carry out day or night-time Mobile Lane Closures (MLCs) on any Dual Carriageway or Motorway.